Get the smile you've always wanted! 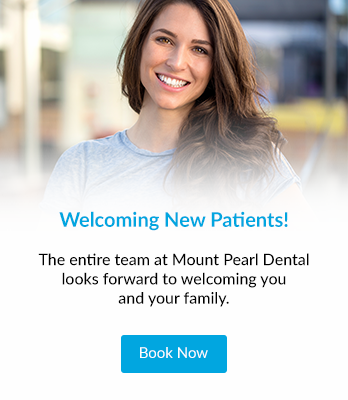 Our dentists at Mount Pearl Dental in Newfoundland offer orthodontic braces to patients who are interested in straightening teeth and improving overall oral function. Braces are an orthodontic treatment designed to straighten and align teeth by shifting them into the correct position. The traditional brackets can be made of either metal or plastic and the wires can be either metal or tooth-coloured. Although you may be considering braces for aesthetic reasons, it is important to understand the health benefits associated with braces. Straight teeth can help you effectively bite, chew, and even speak. Properly aligned teeth can also help contribute to overall oral health, as they can be easier to brush, clean, and floss. The ability to take better care of your teeth through proper oral hygiene helps prevent future cavities and periodontal disease. We also offer Invisalign® Clear Aligners.